Presley began performing with KOTA in 2013, in shows such as The Hundred Dresses, A Little Princess, Annie and many more. After making her Broadway debut in Fun Home, she is back on Broadway understudying the lead role in Beetlejuice! Cassady Leonard is Broadway's longest-running Jane Banks, performing in MARY POPPINS for over two years. Before her run on Broadway, Cassady performed in several KOTA shows. She is currently studying at Rutgers University nursing program. Ayla Schwartz started performing with KOTA in 2015, and went on to do six of our productions. 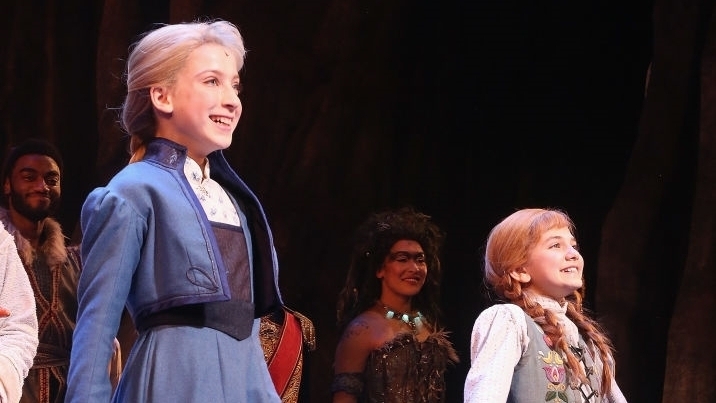 She originated the role of Young Elsa in the newest Disney musical, FROZEN, on Broadway. Ellie Kim made her theater debut with KOTA in 2015. Only two years later, she was cast as a Swing in Broadway's SCHOOL OF ROCK, where she performed 7 different tracks throughout her year and a half run. Alessandra Baldacchino made her professional theater debut with KOTA in 2014. That following year, she became a Swing in Broadway's FUN HOME, and later starred as Small Alison on the National Tour. Jake Schwencke made his theater debut with KOTA, and went on to perform in Broadway's Bye Bye Birdie & Billy Elliot. He is now a student at Harvard University. Disney's Pete's Dragon, The Greatest Showman, The Post, Bad Moms, Southpaw, Pet Sematary, Fantastic Four, The Beguiled, Catch Me If You Can, Going the Distance, How Do You Know, Extremely Loud and Incredibly Close, The Button Girl, The Winning Season, Perfect Stranger, The Good Shepherd, Higher Ground, School of Rock, Salt, Violet & Daisy, Mystic River, Ice Age, Bad Moms, The Smurfs, Geezer, Arthur, The Grief of Others, Legend of Lucy Keyes, to name a few! KOTA kids have been also seen in countless short and independent films. Austyn Johnson made her theater debut with KOTA in 2015, and soon went on to perform as Amanda Thripp in MATILDA. Austyn was seen in 2017 on the big screen in the principal role of Caroline Barnum (Hugh Jackman's daughter) in THE GREATEST SHOWMAN and as Tom Hanks' daughter in THE POST, directed by Steven Spielberg. Oona Laurence started performing with KOTA in 2011. This young actress has appeared in countless feature films and starred in the title role of Broadway's MATILDA (Original Cast, Tony Honor). Some of her film credits include Disney's PETE'S DRAGON, BBAD MOMS, SOUTHPAW, and many others, as well as TV appearances. Pictured above with Nicole Kidman in THE BEGUILED. Modern Family, Game Shakers, Nicky Ricky Dicky and Dawn, American Housewife, I Didn't Do It, Super Girl, Walk the Prank, The Sound of Music Live!, 30 Rock, Saturday Night Live, One Life to Live, Team Umizoomi, Blues Clues, Truth Be Told, The Path, Dora the Explorer, The X Factor, Orange is the New Black, Law & Order, The Sopranos, Nurse Jackie, Wonder Pets, What Would You Do, As the World Turns, Boardwalk Empire, Smash, The Americans, The Thundermans, Blue Bloods, The Goldbergs, Louie, Guiding Lighting, JoJo’s Circus, Today Show, Good Morning America, Gortimer Gibbon's Life on Normal Street, HBO’s John Adams, The View, David Letterman, Good Morning America, Team Toon, The Messengers, Orange is the New Black, The Affair, Jimmy Fallon, The Voice, Victorious, Table 58, iCarly, Commando Crash, Sam & Cat, The Blacklist, Blue Bloods, Fancy Nancy, The Good Doctor, Raven's Home, The Sound of Music Live, A Christmas Story Live, and much more! Plus hundreds of national commercials. An already accomplished actress at a young age, Meg Donnelly began performing with KOTA in 2014. Her talent and incredible personality led to her principal role as Taylor Otto on ABC's American Housewife. Meg recently starred in the hit Disney Original Channel Movie, ZOMBIES! 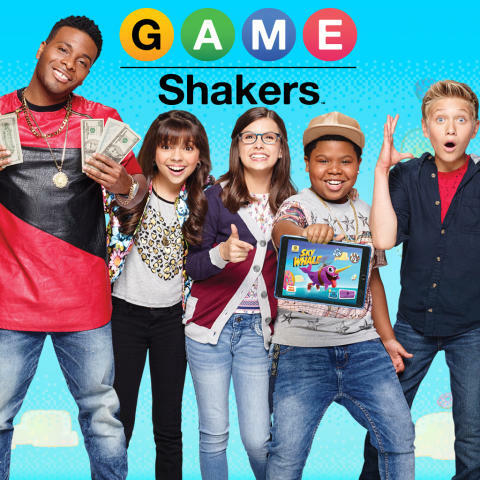 Maddie Shipman starred in Nickelodeon’s GAME SHAKERS.